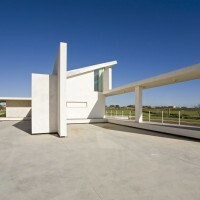 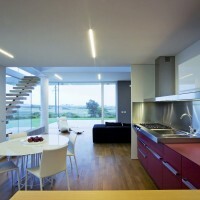 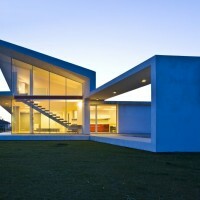 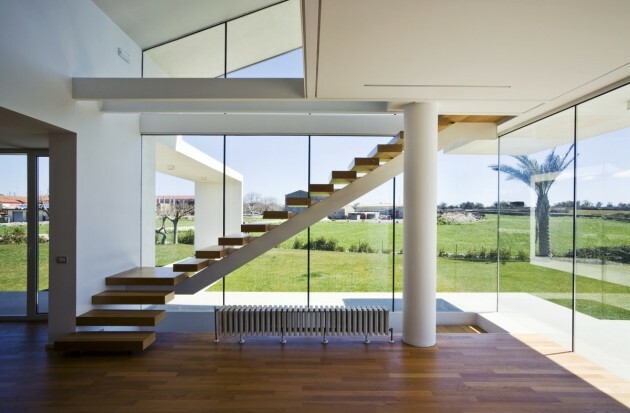 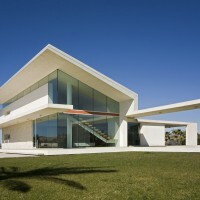 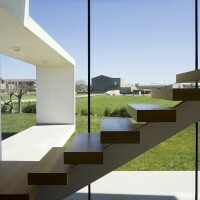 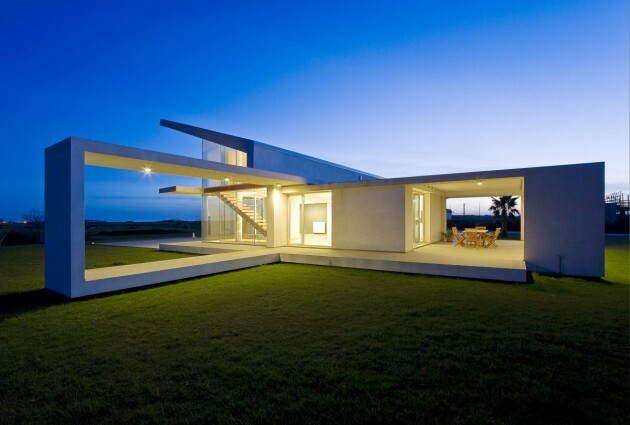 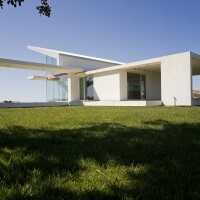 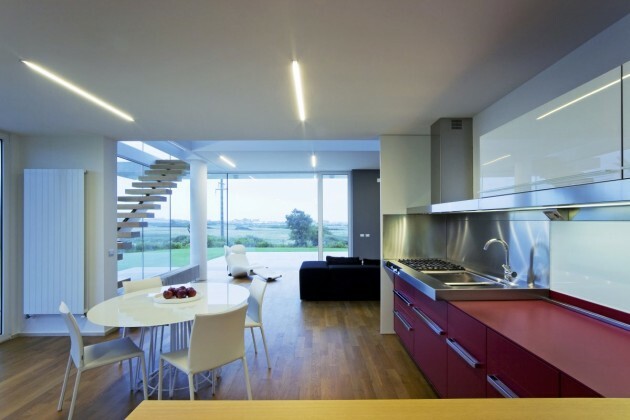 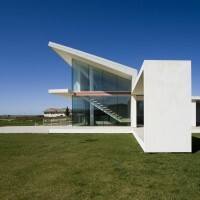 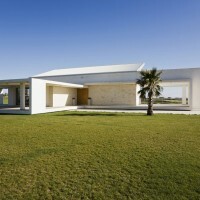 Architrend Architecture designed the Villa T in Ragusa, Sicily. 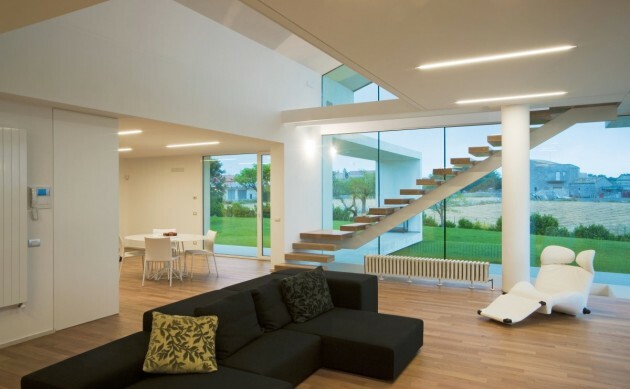 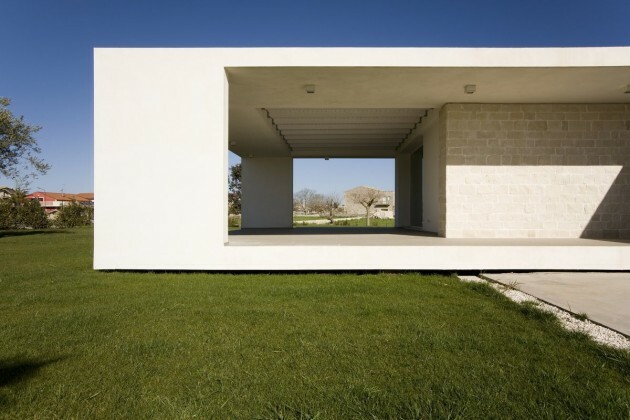 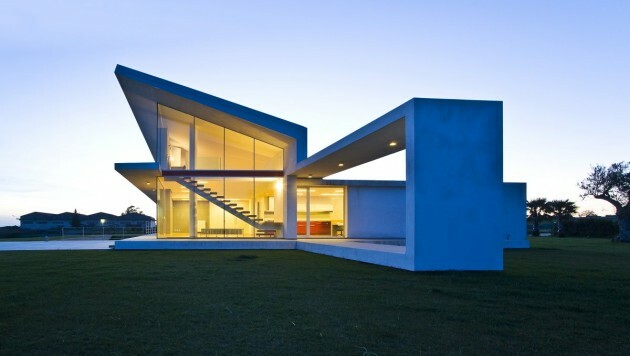 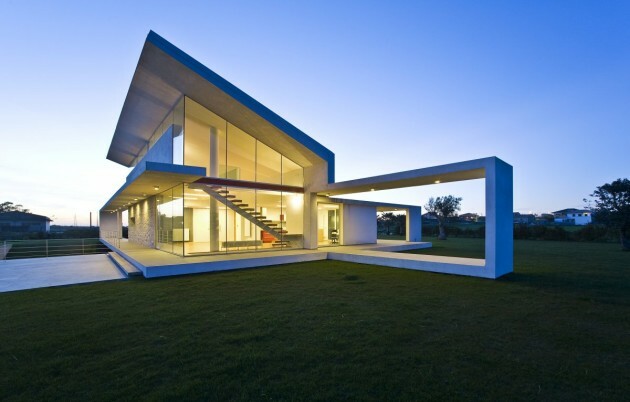 The program of the compositional process is that of a large single-family house, alone at the center of a meadow, bordered by the free, linear horizon of the plateau. 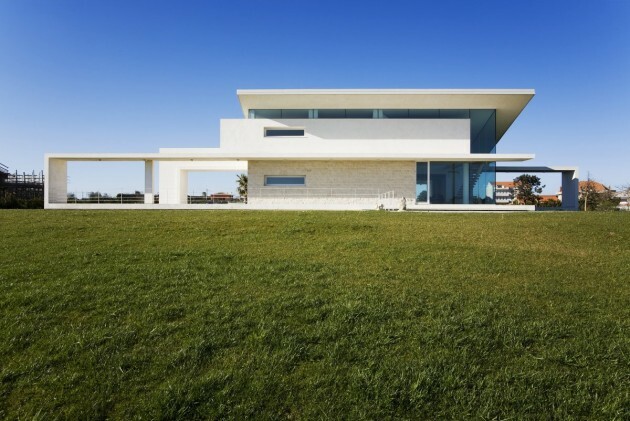 Here, in the midst of the grassy terrain, treated as virgin land for construction, the architecture stands out clearly as a complete entity with definite limits. 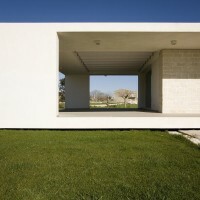 But its borders are not ‘introverted’, they are open to visual enjoyment of the outside world, through the creation of outdoor living spaces, rooms without walls that become parts of the overall solution. 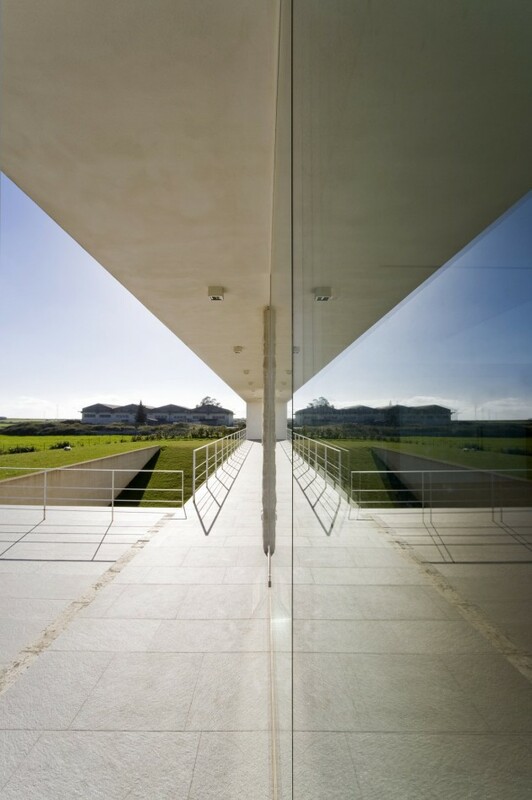 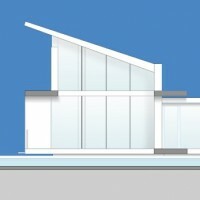 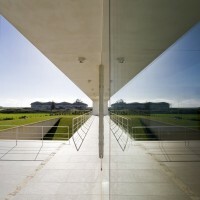 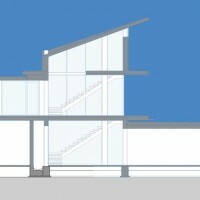 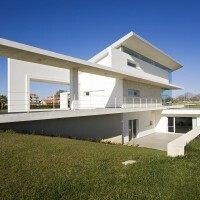 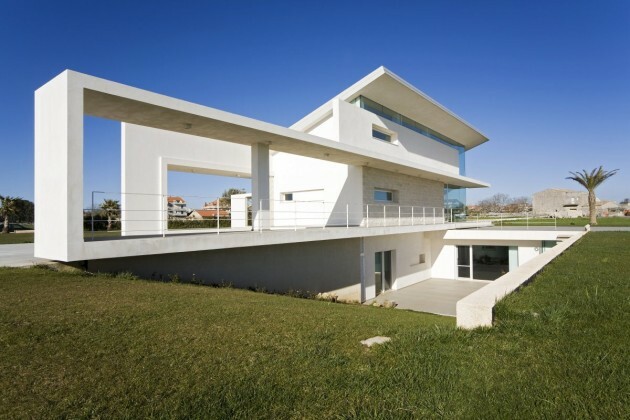 The relationship with the context and the sequence of the three stacked floors relies on a sort of continuous architectural ribbon that reinterprets the flavor of the Mediterranean home, developing, bending to form rooms and the roof, outdoor zones raised from the meadow like platforms, porticos and overhangs, balconies and terraces. 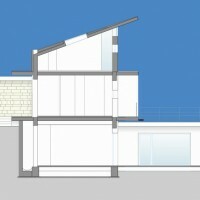 A solid facade clad in stone, to the north, is flanked by the harmonious antithesis of the southern and eastern facades, fully glazed and open to the greenery. 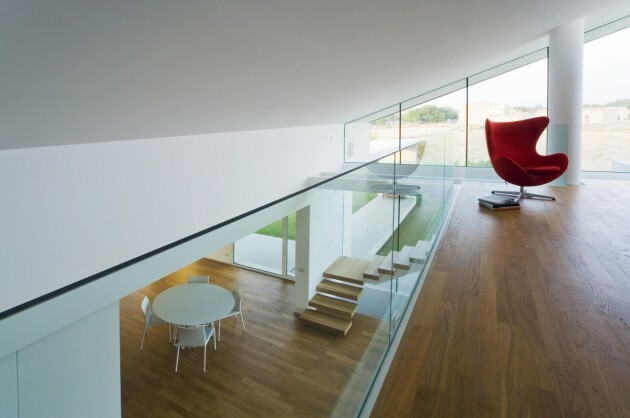 They reveal the two-storey height of the living area, with the mono-beam staircase leading to the first floor, containing a studio zone and a bedroom. 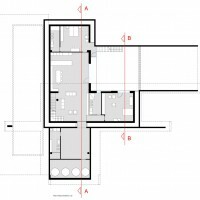 The daytime area is joined to the kitchen, located in the lower volume, while the luminous living and dining area emphasizes the double height of the construction, with its large pitched roof. 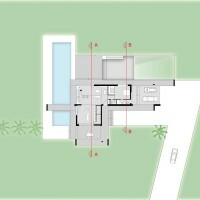 The master bedroom zone with bath and closet is located behind the living area. 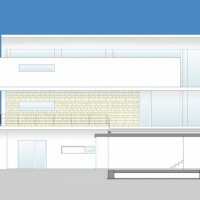 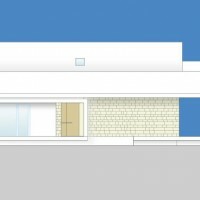 The sequence living-dining-kitchen encounters two outdoor spaces: on one side, facing the living room, a terrace at ground level connects to a recessed patio faced by the underground spaces, with two bedrooms and a den, shaded for cool comfort. 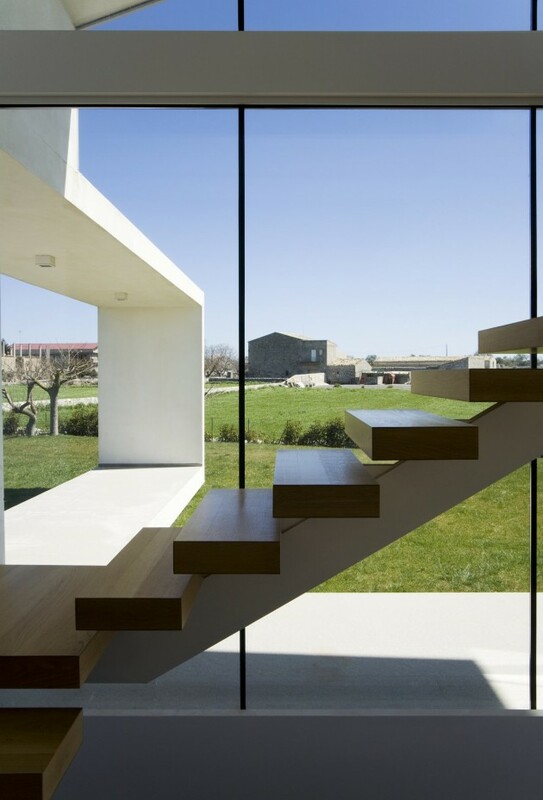 Behind the kitchen, connected by a full-height glazing, an external portico is like a room without walls, open to the surrounding lawn. 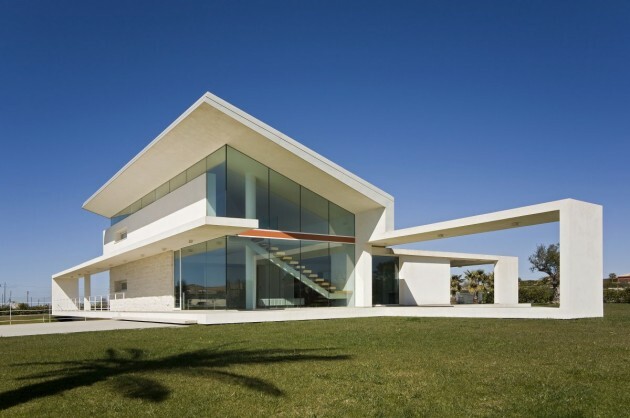 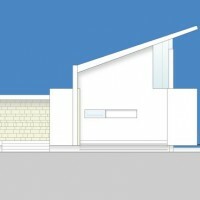 The white stucco and stone facings that wrap the forceful geometric design, highlighted by a red floor marker that interrupts the high corner glazing, the planes that combine, in a dynamic way, around the sloping roof, reveal the pursuit of a ‘possible Mediterranean style’ that pays attention to local history, but without copying, ready for experimentation with new possibilities.